When preparing to navigate the concrete wilds of St. Louis, one needs to gather the appropriate supplies: cell phone, lipstick, wallet, and MP3 player with freshly downloaded 90s alt-rock tunes. 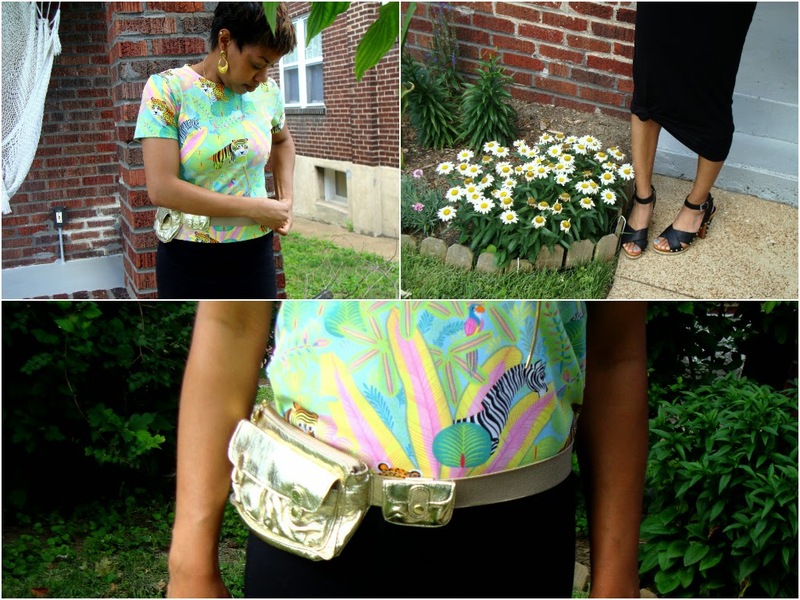 What better way to holster the essentials than in nature's smartest carrying case: the fanny pack. True, unless you're on a bike, wearing a fanny pack actually over your fanny violates the laws of cuteness (and utility). But with a modern shape and golden hue, a belted bag allows for hands-free errand-running or happy hour imbibing. 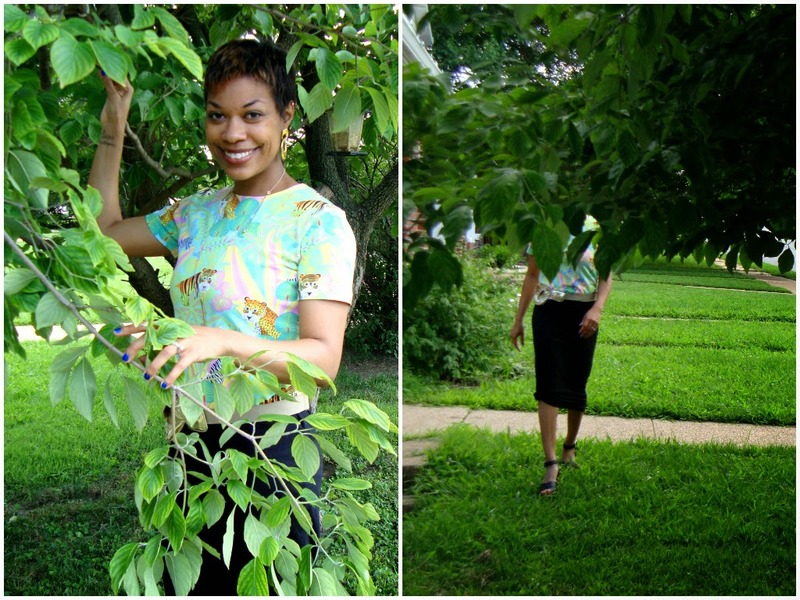 With my jungle-boogie tee and knotted skirt, I'm ready for whatever comes my way! I got the idea to knot this dress/skirt from a fellow blogger babe, Brittany of Love.Style.Transform. It gives the skirt much-needed shape. She Who Leaves A Trail of Glitter. . .